This show marked the debuts of Meat and Fikus. Fans of stage banter will want to hear this show, as Trey was in a particularly chatty mood. Anyways, the first night was like a "best of" type show, although it is the longest 2 setter I've seen(even longer than the Alladin.) Stash-> Cities was sweet. Moma was fun. Honestly this is the 1 of the 3 I listen to the least. 2nd and 3rd night second sets both start out disgustingly HUGE. Tweezer-> 2001 is 38 minutes of DOOOM!! The Ghost-> Jim from this next night is super HUGE taboot! I believe this Ghost isn't talked about as much because it's not an official release available as a SBD. I personally think this one is equal to the 7/6 version in Praha. Get a copy and hear for yourself. All 3 of these shows have something you should hear. The debuts and banter from this show and 6/30 are especially enjoyable and I find myself smiling each time I relisten. I did all the 2 set Europe 98 shows. Had a "phriend" living in Praha at the time. My college roommate and I flew into Frankfurt, bussed over to Praha, and met up with her brother who was working at Bohemia Bagel(at the time the only bagel shop in eastern Europe.) Anyways, it was cool. Praha was basically home base for our month in Europe. We got a rental car at the airport for 25 beans/day. She knew a little Czech and was fluent in Spanish. I was a French minor, but our German was non-existant. We used The Force to navigate our way N/NW to the German border and into Dresden. Now this used to be East Germany, and was not at all user-friendly as far as road signs go. So, we motored on up to Berlin and on to the Danish border. Gas was RIDICULOUS in Denmark, so we turned around, crossed back into Germany, filled up, and recommenced towards Christiania. It was 50 beans to simply cross that bridge that took you over to the island where Copenhagen is located. We camped at what used to be a gun-sight in WWII. Big grassy field right on the edge of the water. Underneath where the showers and laundry were used to be ammunition magazines and bunkers. Crazy history there. Anyways, like a 10 minute drive from the shed. We pulled up behind Den Gra Hal(The Grey Hall) and parked about 7 cars down from the back dock of the venue. The back dock consisted of a door that you coukd open and drive a tractor inside. Nothing formal. I got out of the car and sure enough, they were soundchecking HaHaHa. I hadn't seen it since 95 I believe, so I remember being excited. The building itself is maybe 3-4 tractor trailers long. I estimate 800 capacity of this place. The whole one side is a free-for-all graffiti wall for the locals- legally. So there were kids there throwin up some sweet tags all 3 days. I can't remember if the other side(Fish side) was the same. I do know the whole area was like a little park, with buildings scattered about. There was a skateboard half pipe a ways down the cobble stone path that ran in front of the venue. I remember a weed garden directly out front and down a ways that had a sign on the fence that said(in English too) No Pictures Please... We did anyways. I was young, my bad. I was blown away. Chilled outside and drank beers, met some dude who played some mean devil-sticks. First set is in the good to good+ range, pretty tight, interesting song choices (I for one like a midset SOTG excursion) including two debuts, but nothing too exploratory. The whole second set is A+. 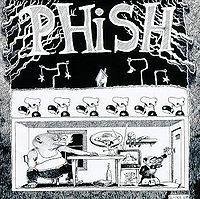 Easily my all-time favorite Ghost > a pretty great ambient-tinged Jim -> a rocking Casipan, a YEM with a little "extra mustard" in the jam section and a less-obnoxious-than-usual vocal jam. This whole three day run is fantastic! Interesting Final show at the "barn". First set was pretty much ho hum up until the introductions of Meat and Fikus. 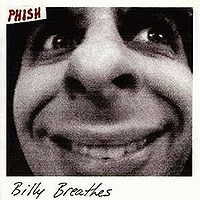 Trey after Shafty seem to take a crowd request for Fluffhead. First set was longer then usual just when you thought the set would close with PYITE the band plays a ripping Character Zero. Second set that featured one of the best played Ghost. WOW what a version. Could arguably be the "best" version as Sethadam alluded to the post above. 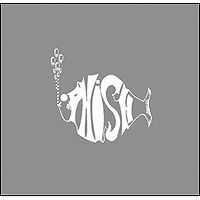 Other then the Ghost I thought Runaway Jim>Prince Caspian were a bit of a let down but of course the YEM picked it back up again with crazy and strange Vocal Jam that has Trey actually having a conversation with himself. Then a rare Simple to end the show. Overall: 1st set was OK, 2nd set other then Ghost was a let down. I would definitely listen to this Ghost you wont be disappointed.